In our family, one of the first signs that Dad was struggling with mental acuity was when I watched him try to fill out a credit card slip at a restaurant. He absolutely could not figure out how to calculate a tip, something I had seen him do routinely over the years. This was about five years ago. In subsequent years, he got much tighter with money - and worried about things that simply weren't problems. He worried intensely about my ability to pay for my three daughters' college education. I could not convince him that I make enough money and am saving aggressively for their education in a 529 plan. Mom finally took over the checkbook at least a year ago, maybe more. That was the last of the financial decisions he was involved in. Dementia can be incredibly destructive to a family's financial picture, certainly from mismanagement, but also from the perspective of paying for care on a long-term basis. Had my father lived more than a year, my mother would have been forced to go on Medicare because he did not have long-term care insurance. I ran across an article, albeit two years ago, in Smart Money online about dementia and its affects on family finances. I wanted to share it with you because I thought that you might find it helpful - and as a word of caution to anyone who has elderly parents or relatives that they care for. Keep an eye out for the tale-tell signs, and step in before deep damage is done. Question of the day: real estate or Roth IRAs? We maintain an active presence on Twitter @family_finances, giving out a financial tip every day, and also taking questions from our followers. On Monday, we received a question from @therealbrandon1 who asked, "Curious what ur thoughts r...real estate vs roth ira?" Dan Danford's answer is below. This is a question of apples and oranges. A Roth IRA is a type of account that can be invested multiple ways. Real estate is a broad investment option, much like stocks or bonds. Some real estate requires active management - rental properties, say, or construction - while others is more passive. The passive variety can be packaged into securities such as REITS or unit trusts. Actually, those securities could be purchased in a Roth or other IRA just like stocks, bonds, or mutual funds. Active real estate investors know that leverage (borrowing money to buy properties) is one of the appealing aspects of ownership. IRAs are prohibited from borrowing, so that's one reason why active real estate isn't a strong choice for IRA investing. But I do think real estate can be one component of retirement investing. Many of the world's great fortunes were made in real estate. The two big factors to consider are liquidity and leverage. Liquidity simply means that it's tough to monetize your real estate investments when you need money. You must sell or borrow against them, and neither option is fast or assured. Leverage is what makes real estate so potentially profitable, but it's a double-edged sword. That same leverage makes it risky, and banks foreclose on real estate every single day. It's a high-risk, high reward business. For most people, owning their home is the only exposure they need to this sector of investing. Dad's Divorce: How do I pick 401(k) investments? 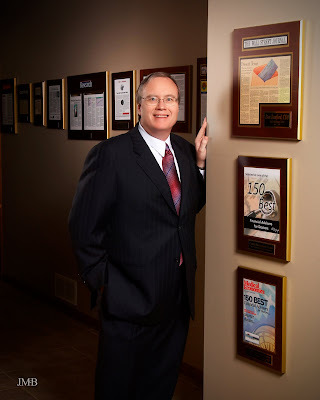 Dan Danford regularly posts video blogs on Dad's Divorce, a web site for men going through the divorce process. But his advice almost always applies to anyone. This week, he answers a question from a viewer about how to pick 401(k) investments. Here's the post - let us know what you think in the comments. 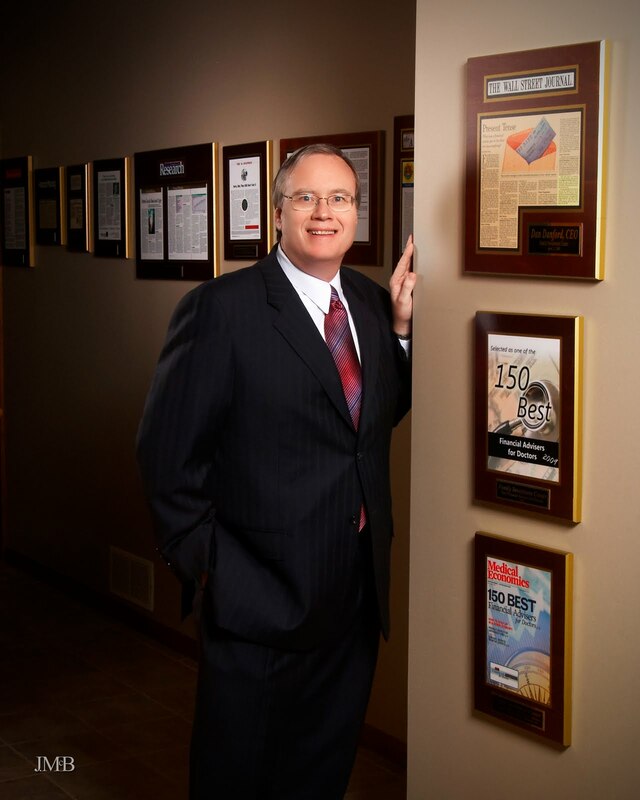 Dan Danford – I understand investments and finance better than most people, and I explain things really well. People ask me to help. What exactly does Family Investment Center do? Two main things. We manage large portfolios for clients. These are discretionary accounts for families, nonprofits, and companies. We use proven techniques, based on decades of academic research, to design, implement, and review portfolios. Another facet is consulting, where we do research and evaluation for nonprofit and corporate clients. Our internal team is remarkable. Good. Most of our new business happens when people move portfolios to our care from somewhere else. Movement slows when the economy shudders, and the past few years have been traumatic. Despite that, though, we’ve continued to maintain our client base and Assets Under Management (AUM). Actually, we’ve been pruning a bit. How do you differ from stockbrokers or other firms? Family Investment Center is registered to actively manage portfolios. We don’t sell investments, and we don’t earn or charge sales commissions. Among competitors, we probably look most like the trust department of a bank, although we are regulated by the U.S. Securities and Exchange Commission. We have a fiduciary duty to our clients and we are genuinely independent. In the investment world, over ninety percent of professionals are aligned with some large firm. Brokerage, maybe, or a bank or insurance company. There’s a tendency to create and sell certain products or services. There’s a huge amount of redundancy in the marketplace and a host of mediocre products. Firms like ours have no ownership or financial alignment with other companies. We’re free to choose products and services that excel for our clients. From thousands of good choices. Ask yourself this: does the world need 26,000 mutual funds? Seriously, there are over 9,000 bond funds tracked by Morningstar. Bond funds! Few have the long-term performance of Bill Gross and the PIMCO organization. So there are a few stellar performers and most of the rest are mired in mediocrity. Why do they even exist? Because they create revenue or convenience for some particular investment firm. It’s not for the consumer, that’s for sure. That’s just one example, of course. There are thousands. How much does any of that matter? I think the business structure matters a lot. Obviously, what’s most important is competence and trustworthiness, but there is a big advantage to staying in a commission-free environment. Salespeople simply aren’t – can’t be – objective. Mostly, they are the ones selling those mediocre products. And, again generally, I think it’s best to use bankers for borrowing, and insurance agents for insurance. I’m not fond of cross selling. I’ve never heard that before. Why? I just think specialization has value. How many pitchers also hit 300? How many successful physicians also keep the books? It's hard to be really good at multiple tasks. Banks and insurance companies have their strengths; investing isn’t often one of them. A related mistake, I think, is that people somehow equate big with good. They think it’s safer or better to work with a big bank or big brokerage firm. Remember, those are the banks that brought us TARP, and that Lehman Brothers – among the biggest of big investment firms – collapsed entirely. Both groups played a hand in the mortgage crisis and its aftermath. Bigger is not necessarily better. What should consumers look for in choosing an advisor? There are at least three really important things to consider. First, what is this advisor’s history? Were they insurance people? Stockbrokers? Bankers? It’s important because their initial training – and possibly their belief system – hales back to that early history. Just realize that they likely have some bias shaded by history. Next, whom do they serve? Their clients should look and live a lot like you. Sometimes I see these people selling tax-free bonds to folks who don’t even need them. Seriously, most advisors have expertise with one kind of client or another. Maybe two. You want one who helps other people in similar situations. Unless advice fits your personal circumstances, it isn’t very helpful. Last, and maybe most important of all, do you want a long-term relationship with this person? I’m not saying you have to socialize with them, necessarily. Just ask yourself, is this someone I want to work with and rely on for the next decade or two? If not, I’d keep looking. What about investing? None of the top three is performance? Good point. Let’s just say that investment performance alone isn’t enough. Good investing is always better for these three factors. In fact, investing is about achieving goals. That happens more easily when you work with similar families, engage in a long-term relationship, and understand some professional history. What’s the very best thing an advisor can do for a client? And don’t just say, “make them money.” What should clients look for from a good advisory relationship? Now, that’s a great question. I work with a lot of really smart people and most of them could manage investments. What they lack is context. They read an article or see a powerful spot on television, and they think maybe that’s a good idea. But they’ve not seen anything like it before, or during any other time frames. They don’t know exactly how it works or whether is works all the time. Or half the time. That’s the value a good advisor brings. They’ve seen it all before, and whether it works or fails. They’ve seen it with other similar families, and they’ve studied it in trade journals. With thousands of products and strategies, that’s valuable insight. Is it worth paying for, though? And how much? Well, how much could it help your family? I can suggest a tweak to your investment mix that generates an extra $50,000 over the next twenty-five years. What’s that worth to you? Maybe I’ll talk you into or out of some strategic move because I’m seeing a particular result with other families. What’s that worth to you? Most times, the modest fee that a good advisor charges is worth every penny. There’s another side to this, too. It always astounds me that prosperous people have quality advisors, and less prosperous ones don’t. I mean, come on, this isn’t rocket science! Did you ever think that maybe those folks have a lot of money because they have good advisors? That, alone, is proof enough for me. Sure you can do-it-yourself, but is that what wealthy people do? It’s a real laugher. Theoretically, that makes sense. But I also hear stories about bad advisors. Say I agree with you that there is value in quality advice. What next? Find someone really good to help. As I said earlier, structure matters, but only to a point. Competent advisors share some basic principles about personal finance. Spend less than you make. Invest for the long-term. Let the tax code increase your returns. Again, it’s not rocket science, and advisors might argue about which mutual fund is best, but most of us will agree that a growth fund is a good choice for a retirement account. Fees, funds, and brand names differ slightly, but smart investing makes sense anywhere. One thing I’ve noticed is that the crooks usually promise something for nothing. Outsized performance or unrealistic safety. Ask yourself this? Is what they are recommending in the mainstream? Is it what you’d expect to see in Money magazine or the Wall Street Journal? If not, there’s a strong chance it’s dicey. Once or twice, I’ve responded to a troubled client, “ninety percent of competent advisors recommend the same things we’ve done.” And I truly believe that. Personal finance is a science and there’s a body of knowledge to support our decisions. We can’t always control the results, but our choices are based on the best probabilities for achieving success. That’s what you should expect with a good advisor. Every parent faces challenges in trying to educate their children about the basic principles of financial responsibility. Children and young adults are thirsty for personal financial education. Granted, their interest generally focuses on topics like how to earn a million dollars by age 23 and spend happily ever after, but we as parents and educators can use this materialist instinct to teach basic personal financial responsibility. Benevolent employers figured out a long time ago that employees are much more likely to participate in savings programs, such as 401(k) plans, if the employer agreed to match employees’ contributions. You can apply the same logic with your kids. If Johnny manages to save $2 from his weekly allowance, match it with a dollar of your own. Every child should have a savings account at a local bank. Teach them to deposit their savings, rather than keep idle cash in a piggy bank. After the first few interest payments are credited to their savings account, they will begin to understand and become excited about saving money. Once the child has accumulated a few hundred dollars in that savings account, open a brokerage account for them. I’m serious! Use an online brokerage company to maximize the child’s connectivity and interactive education. Encourage them to invest in companies that they “do business with” like McDonalds, Disney or Microsoft. 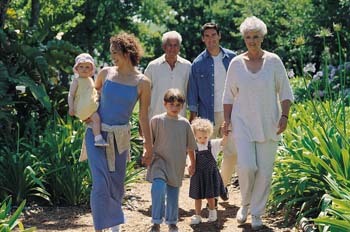 Involve your children, to the extent that you are comfortable, in family financial decisions. Even young children can begin to comprehend the amount of money it takes to pay the mortgage, and the electric bill, and the groceries, etc. Once they realize the constraints of the family budget, you may find fewer temper tantrums in the checkout line when you say no regarding a “must-have” candy bar request. Parents can also teach children wise shopping and spending habits. Let them look for bargains and coupons in the Sunday paper for products they know and use. Teach them to comparison shop and to determine relative prices. For example, should I buy the jumbo bottle of hair gel, or is the smaller size cheaper by the ounce? I am amazed how many college students, and adults for that matter, don’t seem to have the ability to do this. Finally, teach your child about the pitfalls of debt, particularly credit card debt. The earlier they learn the expense of using other people’s money, the better. If you loan your children money to buy a toy or video game, charge them interest. They will quickly discover what they thought they couldn’t live without, maybe they could have. You will be teaching patience, frugality and personal responsibility – a set of qualities we could use more of among today’s youth! As your child gets older, encourage him/her to read a daily newspaper and watch the evening news. Staying plugged in to events and changes in the world help to round out an individual in more than just a financial sense. Remember – lead by example. Believe it or not, your children really do look to you for guidance! I spotted this article on retiring in a foreign country on Yahoo! this morning. It's an interesting idea - your money stretches further, and you may be able to live comfortably on just social security income. But life is about so much more than money. What will you miss out on if you move to Panama, or Mexico, and you're away from your children, grandchildren and siblings? To me, this is an extreme, and possibly even crazy, reaction to retirement, and one I wouldn't want to see any of my clients undertake unless they were perhaps originally from that country, and wanted to return - or it was a life-long dream. It may be fine when you're 65, and in good health. But your health will turn, and you absolutely will need someone to keep an eye on your health, your medications, the doctors you see and possibly even to drive you to appointments and such. If your spouse is in good health, that can work, but counting on that isn't the best option. You really should consider moving near other family, including children, if you are not - and NOT several countries away. Also, the quality of medical facilities probably isn't ideal in a third world country. Instead, plan. Plan to stay in the U.S. - and save accordingly. And don't make it your plan to die with a giant pile of money unless you can comfortably afford to do so and still live some. Dan Danford regularly provides commentary for Dad's Divorce.com, a web site geared toward men going through divorce - but the advice applies to anyone. This week, he answers a question about when to refinance the marital home. Got a question of your own? Leave it in the comments section. Are coupons worth the trouble? I know of many people who swear by coupons. They sit down with their Sunday paper and a pair of scissors with a look like a kid on Christmas. I've done this from time to time, but I have never really consistently used coupons. To me, they just are not worth the hassle. It takes me at least an hour to grocery shop, and with coupons, that time is almost doubled. I have three kids six and under, so I just do not have extra time. Every minute matters to me. Plus, I tend to buy generics. Most of the time when I've bothered with coupons, if I compare the cost of the name brand including a coupon with the generic, the generic is cheaper, and often, the quality is the same. I also don't pay much attention to "sales," particularly on food items. I don't read the sale papers during the week and plot a course from one store to the other. My goal is speed. I want to get done, and get home. Last summer, while checking out of Meijer, I noticed the woman in front of me leave with a cart full of groceries after paying only somewhere around $5. My jaw dropped, and she explained it to me, and said she had been on television several times explaining her strategy. But I also took a look in her cart. Lots and lots and lots of processed foods. Huge bags of chips, and other snack foods. I buy fresh produce as often as possible, as well as dairy, and that will drive up the price of your trip quickly. I know who won't agree with me: Michelle at WickedCoolDeals.com. I admire her thrifty ways. But I'm afraid I won't be following in her tracks anytime soon. I also don't think it's worth it to collect aluminum cans for money. I would toss mine in recycling with everything else if given the opportunity. But my husband, God bless his sweet little thrifty soul, digs the cans out and takes them to the recycling place where they pay him for the cans himself. I can tell you right now that's not worth my time. But if he wants to do it, hey, I won't stop him. So how about you? What thrifty things are worth your time - and what's not? Editor's note: Dan Danford regularly provides commentary on Dad's Divorce.com, a web site for men going through the divorce process. This week's installment covers the financial cost of children. Editor's note: We field questions here from readers from time to time. Please post your question in the comments section. We'd love to hear from you. QUESTION: I usually buy my grandchildren savings bonds to help them save for their education. My son has asked me to instead give him money to put in their 529 plan. He’s concerned about losing the savings bonds, and said they don’t get a good return. Is he right? Do I have any other alternatives? ANSWER FROM DAN DANFORD: You picked the wrong guy to ask. I HATE savings bonds. They are awkward to buy, store, cash, and - as your son notes - find when you need them! Some of my worst horror stories as an advisor involve boxes of savings bonds left behind by ancient relatives! In my parent's day, savings bonds were one of the few places to set aside money each month. Now, they are an anachronism from a distant era and I absolutely loathe them as investments! Do I need to be clearer? 529 plans are the right choice for education savings today. You can choose between multiple investments, ranging from conservative bond funds to aggressive stock funds. Depending on your grandchildren's age, I often recommend a more aggressive approach. 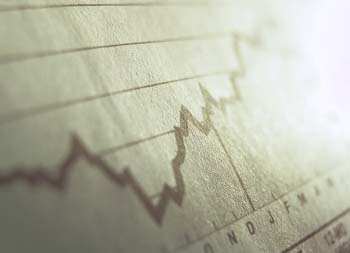 After all, five years is the usual benchmark we use for investing; if the money won't be spent in five years or less, then stocks usually provide a better returns. Even as your child or grandchild nears college, some of the money likely won't be spent until their college senior year. If people error, it's usually by being too conservative. Seriously, savings bonds are rarely a good choice today. There are hundreds of options for investing that weren't around when my parents were young. Time to update your investment awareness! My father passed away May 2, 2010 - just a little over a month ago. He had been ill for a while, and the ravages of dementia finally took him. During the past five months, I've been introduced to an entire world of costs of various things that I had never considered, including assisted living, hospitals and hospice. Of course, a big part of that was the cost of the funeral. All told, the funeral cost about $13,000, and I would guess that's about on par with what most services and burials cost these days. Mom and I began looking for a funeral home the day before dad died. We were sitting in the hospice unit with dad and trying to plan, as much as we could anyway, what was next. Choosing a funeral home was difficult. How in the world do you do that? You don't exactly shop - no one wants to visit funeral homes. We decided to look at the web sites for the funeral home, and went with Tharp Funeral Home in Lynchburg, Va., where my parents live, because it was family-owned. In the hours after Dad died, my cousin told me to be ready for a heavy sales pitch at the funeral home. He said he was shocked at how heavy the pitch was when his brother died. We did brace ourselves - but we were pleasantly surprised. There was no heavy sales pitch. The funeral director was the former sheriff of our county, and honestly one of the kindest people we had ever met. I truly liked him. I think part of dealing with a family-owned business is the lack of oversell. The pressure isn't quite as strong as it might be if a corporation were pushing it to make money and meet often unobtainable corporate goals. The total cost of the funeral and burial ran around $13,000. There were some elements that increased our cost. First, the choice of coffin. We went for a mid-range coffin made of pecan in a nod to Dad's southern heritage. I recall the cost was $4,000. They do have coffins that are much cheaper, and perfectly nice. But the psychology of choosing a coffin is extremely tough. You don't want to choose the cheapest thing - but the most expensive seems a ridiculous luxury. This to me was the very worst part of the entire funeral home experience. All I wanted to do was choose it and get the heck out of that room with the coffins in it. Secondly, there were flowers. We both wanted something colorful, and beautiful, for the coffin, and chose an arrangement of fresh flowers that cost about $350. Yow. But they were pretty, and that was our big splurge, really. The flowers were taken to the assisted living facility where dad lived for two months and broken up into vases for the residents to enjoy. We also chose to have dad buried in Indiana, where I live, and bringing him here added another several thousand to the cost. We also had to buy a burial plot here, which I recall was around $1,100. Mom received a small discount from the funeral home because Dad was a veteran - I believe the discount was about $300. Dad also received a small bronze marker for his grave that will be provided free by the Veteran's Administration. We will have to buy a headstone at a later point, but mom isn't ready for that yet (and that's fine). The obituaries were shockingly expensive. The Island Packet, published in Beaufort, S.C., charged around $250 for Dad's obituary to run twice, which I thought was incredibly excessive for a small town paper. We ran the obituary in several newspapers, and all of the bills came to mom's credit card. Just know that you may have to pay for obituaries, and that it may cost you a lot more than you'd think. 1. Dad's original discharge paperwork from the military. Luckily for us, this was filed in the proper spot in his filing cabinet. 2. Dad's life insurance policy information. The funeral home can collect the insurance for you, take their money out and give you the rest if you'd like. Make sure it's a reputable funeral home if you choose this option. 3. Clothing for burial, including shoes and socks. 4. Information for the obituary. In my case, I simply wrote the obituary and handed it over to the funeral home on a flash drive. 5. Photos of your loved one. The funeral homes now take those and create a really nice slide show with the photos. Dad was a nature photographer, so we alternated nature photos with photos of him with mom and with me. Photos should be digital if you want to do this. We took around 26 or so. Think childhood, wedding, photos with children and spouse, and later photos. 6. A list of the particulars for the service, and a list of pallbearers (six seems to be customary). If you don't have this together right away, that's fine, but know that you'll need it in fairly short order. 7. Information about where you wish for your loved one to be buried. I think what made this process a little better for us is that Dad had a small life insurance policy that covered the cost of the funeral. It helped knowing that a little money was coming our way, and helped us relax about the choices. It's not necessary to have life insurance, really, but if you can keep enough to pay for the funeral, it is a relief for the family. The very last thing you want to think about when a loved one dies is logistics, but it's what you have to do. We were at a loss in terms of what to select for dad's service. As a favor to your family, write down some instructions. What hymns do you want sung? What flowers would you like? What scripture is your favorite? And if you can bring yourself to do it, write down instructions for what type of coffin you want, and where you want to be buried. Tell your family where to find this - and also tell them where to find your will, your life insurance policy, and other essential information. The last great gift you can give to your family is solid, clear funeral and estate planning. Make sure you've got a will, that it says what you want it to say if you died today, and that your family knows your preferences for the funeral. I did something a little unusual on Friday. I swam upstream, if you will, from the way other investors were going. I bought shares in a mutual fund in my Roth IRA. To me, a great thing to do on a down market day is BUY. I had put $5,000 each in Roth IRAs for my husband and myself through Fidelity, but simply had it sitting in cash reserves. I hadn't thought about how to invest it - but asked my financial planner (it happens to be the Family Investment Center - of course!) for a recommendation. They analyzed my portfolio and told me I could stand to go heavier in stock, given my age (upper 30s) so that's what I did. I added to it another $500 each for us for 2010, with the idea being that I'll add to it until I reach the max, $5,000, per person for the year. In truth, I wasn't trying to time the market. I just noticed that the market was down, and that it might be a good day to buy. When is a good day to buy? It's any day that you can set aside money for investing. It's ALWAYS a good day to invest in your 401(k), and especially your Roth IRA. It's always a good time to save. When the market goes south just a bit, it's even better. Think of the market as having stocks/mutual funds on sale. When a couple divorces, their financial picture changes drastically. It can be a fight to the finish for every last dollar. 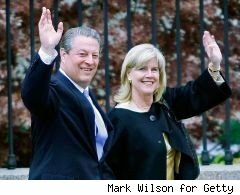 In the case of Al and Tipper Gore, it appears the divorce is amiable, and that would suggest that the property and money will be divided in a more rational way than is typical. We spotted this piece in WalletPopper.com that explains their divorce and how it will affect their finances, which we think is good to post because it is easy to follow and helps explain the financial side of divorce (any divorce, really). It would seem that this is an ideal time to buy a home. There's plenty of inventory, and many sellers are willing to deal - especially if their home has been on the market for quite a while. However, lending terms have changed - DRASTICALLY. Here's a great overview of the six ways that lending has changed for mortgages on investopedia.com. It's recommended reading for anyone who is thinking of buying a home.